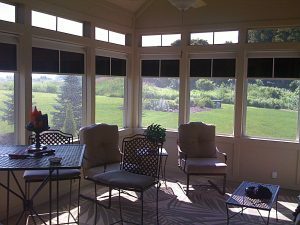 This is a new sunroom built with the amazing Vinyl Window System. Here the windows are in place. At the very top (what we call the gable end) the 10 mil vinyl is fixed. Therefore, no screen behind the vinyl is needed in that area. The windows themselves are sparkling clear like glass, much stronger than glass, and much, much lighter making raising and lowering these windows very easy. The windows also “stack” one behind the other in any area of the opening. Each one sits in its own track so you can quickly and so easily adjust the amount of screen you want to expose from 25% to 50% to 75%. In this case, all four windows are stacked at the bottom which gives you 75% screen area. Here the vinyl windows are tinted and stacked up. Notice the 4 tracks, one window for each track. 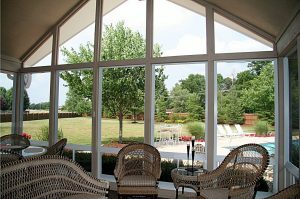 This screen porch is quickly and easily converted to an air-tight Florida Sunroom in seconds by sliding the 10 mil vinyl glaze windows into place. 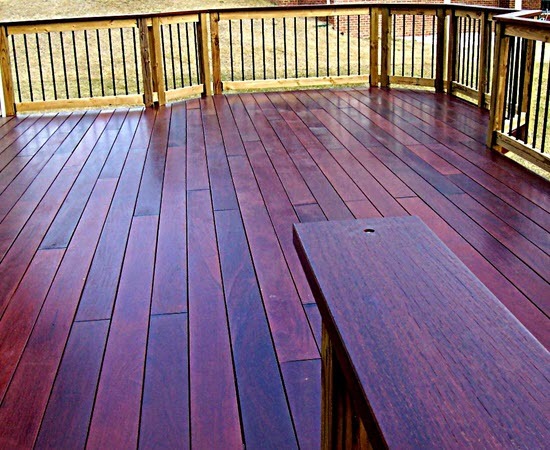 For the look of glass but much less cost and weight this system cannot be beat. 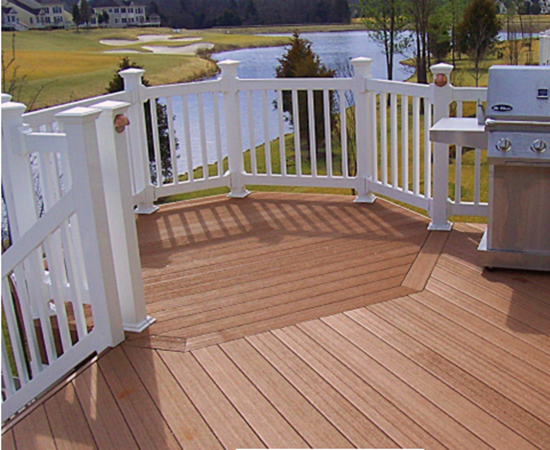 A beautiful composite deck just outside is the perfect compliment to this useful and stylish Florida Room. Here the windows are up around the top and show the room darkening screens. 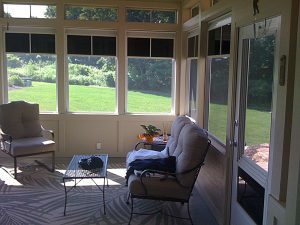 This porch has transom windows around the top which are solid vinyl (no need for screen on the outside because these windows are fixed). 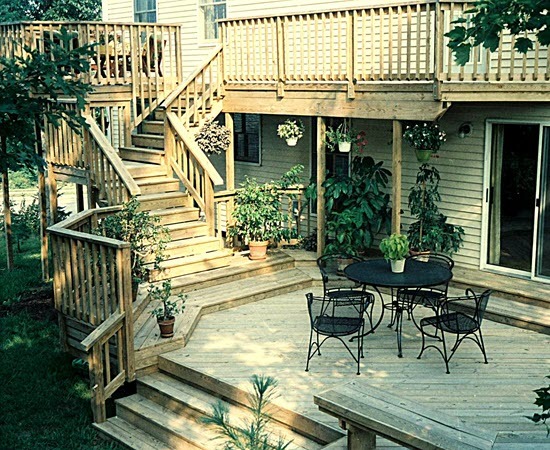 The porch also has a knee wall around the bottom. In this case the windows stop at the knee wall… but we can build a knee wall so that the windows slide down into it which allows for even greater ventilation. 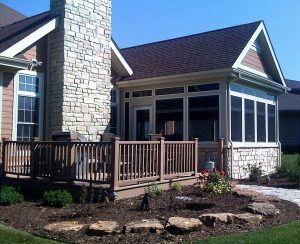 In all of our porches, these windows are custom designed and made to fit your exact specifications. For example, you could have one, two, three or four windows in the openings you see here. Obviously in the one window scenario, it would not move. You would put it in in the fall and take it out in the spring and store it. 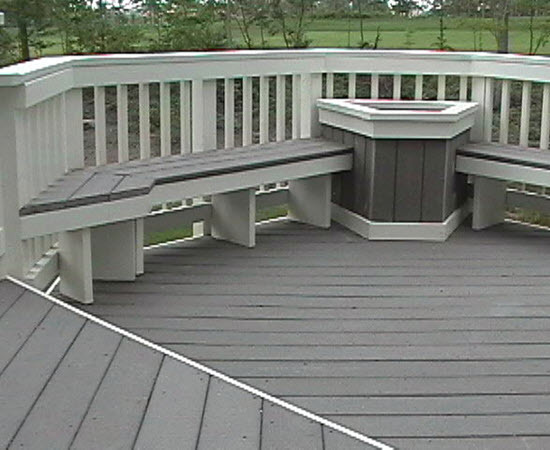 A two window system would be permanent and would allow each window to slide in its own track and stack at the top or the bottom. Same idea for a 3 window system or a 4. 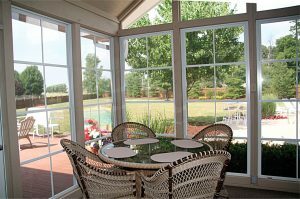 The advantage of 4 windows is that you can achieve 75% opening for breezes because 3 windows will stack over the 4th.